1751 : Theatre mask. Pentelic marble. 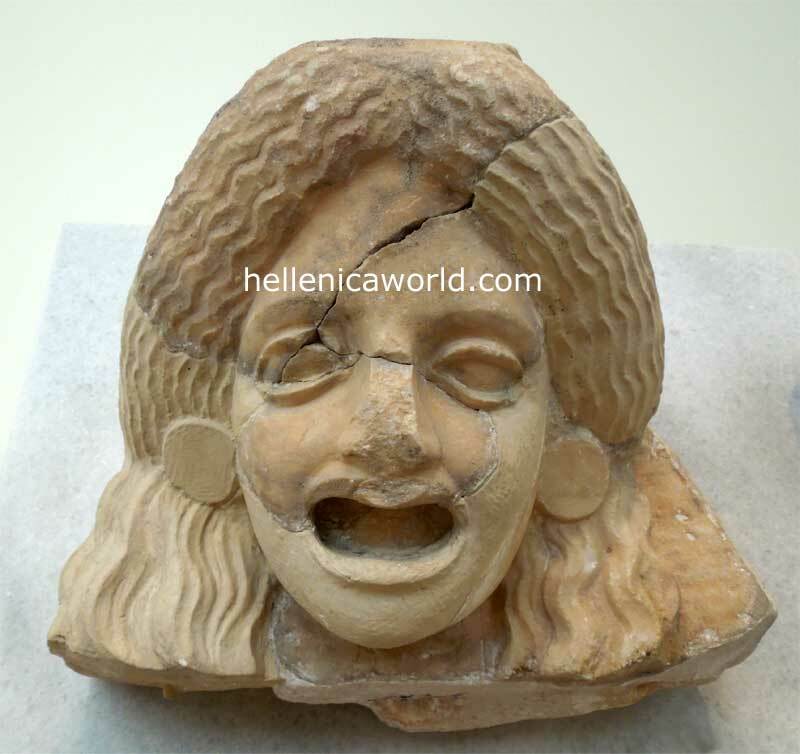 Found to the west of the Stoa of Attalos, Athens. The mask is carved in relief in a very thick slab of stone. She has luxuriant hair and wears earrings. Late Hellenistic copy of a type of the 4th c. B.C.